Swati and Sunaina represent a new beginning of pure and unique weaves. A journey exploring cultural traditions and creating a new aesthetic using time honed skills and weaving techniques. 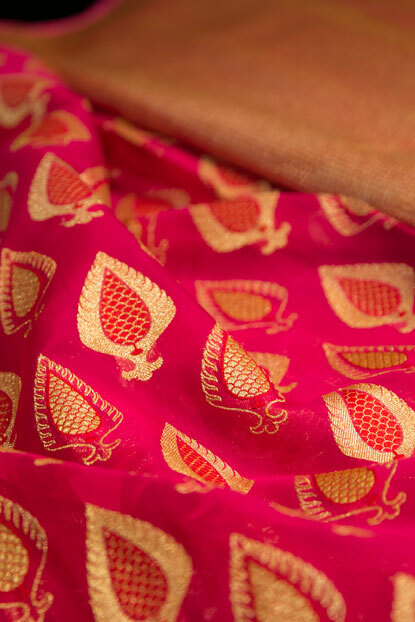 Use of finest silk yarns and certified real gold zari in our limited edition woven heirlooms. Copyrights Reserved 2015, Swati & Sunaina.